I will start this post by saying I am not particularly religious, but I do appreciate beautiful architecture and the peaceful ambiance…and this cathedral is one of the most gorgeous examples I have ever been to. 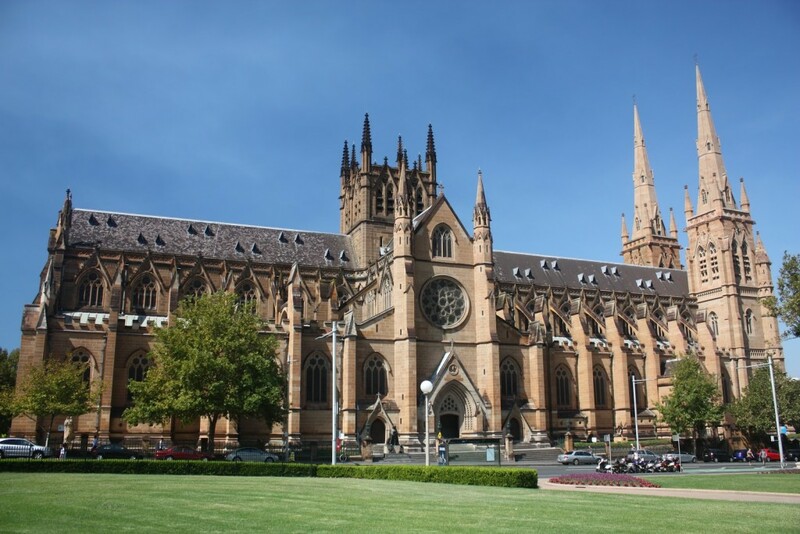 St Mary’s Cathedral is located on the edge of Hyde Park in Sydney, and is under the Roman Catholic Archdiocese of Sydney. The cathedral’s architecture is the Geometric Decorated style of Gothic which first evolved around the 13th century. It is not a copy of a particular medieval cathedral, but is a unique design…including the fact that it is orientated in a north-south direction rather then the usual east-west, due to it’s size and location. 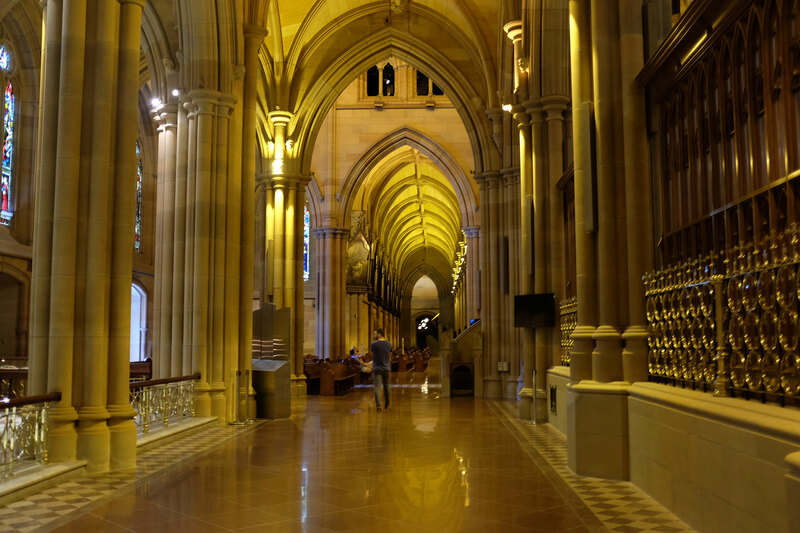 The building also holds the honour of being the greatest length of any church in Australia…although it is neither the tallest nor the largest overall! This is actually not the original cathedral…the first St Mary’s Cathedral was ruined by fire on the evening of June 29, 1865, with the St Mary’s Cathedral as it stands now taking about 60 years and $700,000 to build. 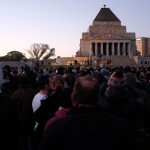 There were quite a few people in the cathedral when we were there, yet there was hardly a murmur heard. I discovered later why the light is yellow…originally the clerestory was glazed with yellow glass due to the brightness of the Australian sun…this glaze has darkened over the years, but the interior is still lit with a yellow glow, due to extensive lighting to represent the way it was. As musicians, we would have loved to have heard the organ play…or one of the organs as I believe there are three in the cathedral…the sound of music filling the huge space would be such an experience! So even if you aren’t religious, I can highly recommend a visit to St Mary’s Cathedral when in Sydney! 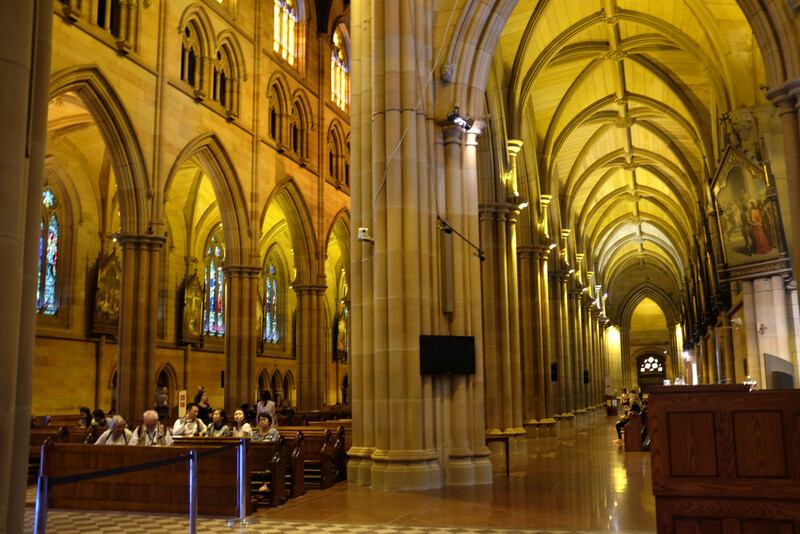 St Mary’s Cathedral is located at St Marys Rd, Sydney NSW 2000…click here to visit the website for more information. « Farewell to Storm in a Teacup…for now! » I am bored…need a new gadget!